There are so many types of uninterruptable power supply (UPS) products on the market that it can seem complicated helping customers make the right choice. 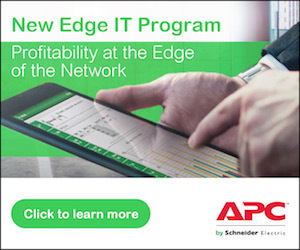 To pinpoint the best options, it’s a good idea to let customer concerns be your guide, according to John Precopio III, senior product manager with APC by Schneider Electric for the Smart-UPS On-Line & Symmetra LX single phase product lines. For smaller power protection applications, standby UPS products are often a good choice because of their simplicity and low cost. For larger, more mission-critical equipment, the choice often comes down to a line interactive UPS, or a double-conversion on-line UPS product, noted Precopio, especially in the range of 1 Kilo Volt-Amps (kVA) to 5 kVA where the two types tend to overlap. Schneider Electric offers white papers with more background on UPS types (see white paper #1 and white paper #79), but basically, double conversion online is needed for scenarios where you don’t want to have any switch over time between loss of power on the input side to when the UPS battery supplies power on the output side. Line interactive units typically have a switch over time under 10 milliseconds, but with double conversion online, because of the topology of these systems, there is no switch over time. In other parts of the world where power quality is a concern, double conversion online also extends battery life, but in North America, zero switch over time tends to be the key factor. “When we position these products, you really have to look at the applications they will be used in,” said Precopio. “What’s nice about double conversion online is the zero switch over time, which is important when you are protecting servers and voice/data networks.” Some networking equipment manufacturers will even specify that a double conversion on-line UPS is best for protecting their products. Schneider Electric offers two families of double conversion online UPS products: Smart UPS On-line and Symmetra LX. Once again, asking the right questions can help a customer choose the most suitable product. SURT is generally the more affordable product line in terms of initial cost, said Precopio, but it lacks some of the features and the modularity found in the Symmetra line. Both have good network manageability features, but Symmetra’s modularity presents some unique benefits. But perhaps the most important question when evaluating Symmetra LX has to do with N+1 redundancy, which refers to the duplication of key components to ensure the load stays supported. Symmetra, again because of modular design, can be configured for N+1. By having an extra power module installed, the system can continue to support the load in the unlikely event of a power module failure. “So these are the three key questions to keep in mind when choosing between SU On-line and Symmetra LX—how important is N+1 redundancy, how important is scalability, and how concerned are you about ease of maintenance,” Precopio said. While the SU On-line offers true double conversion and good value, the Symmetra LX line offers more protection and flexibility to address customer concerns such as N+1 redundancy or scalability. For more information, the Symmetra LX and SU On-line reference guides have a good overview of their features and benefits and can be found on the APC partner Web pages.